Discuss. Flames and flame baiting to a minimum please. Hm, so they're basically doing a WoW: Cataclysm style thing, where the world is ravaged and changed forever? Certainly a good opportunity to fix a lot of the complaints people had with the areas themselves. In fact, it sounds like the majority of these changes are WoW-inspired- not a bad thing, of course. Concept art is beautiful as expected- hopefully they can fully realize it with that new engine they're using this time. Hope to see it in movement soon. Hopefully the second free trial period extends to PC players as well, since I certainly would want to try this time before paying for it. Global standard for MMO UI when using mouse/keyboard to navigate in-game windows. Will not require a manual for explanation. We fully realize this is but a single step towards our ultimate goal, and that to meet the high standards set in the plan, more time is required. With this, it is my hope that we will continue to receive your support as we will need to bring the unbilled period to a close between late November and early December 2011, and introduce our subscription-based billing system. I appreciate that this decision will not be popular, but it is a necessary step in building upon the foundation our fans and development team have made together and to realize the full potential of FINAL FANTASY XIV. ...makes me shake my head. FFXIV 2.0 sounds like a game I might play. But charging just shy of a year's worth of subscription fees for a game they admit is incomplete is hilarious. In essence, they are asking customers to fund the remainder of the development. Guild Wars 2 is coming in early 2012, and SWTOR is two months away. Best of luck Square... you'll need it. I totally agree, but business is business. At the very least we have a roadmap that shows up where the money is going to. I for one, am ok with that. The game at its current phase is enjoyable for me. It's not quite where it should be for subs, but I really think its not that far off. I really think they are appealing to the FF faithful for this, but right now the game isn't a total waste for a sub. Anyway, permit me to oogle once more. It's a graphics concept but HOT DAMN! I highly suggest you guys check out the .pdf files he's attached at the end of the press release. It's eye-popping. I think they're going to be porting this into Luminous Engine, since Crystal Tools was basically a complete flop. If so, that's a complete reworking of the game assets. Also the fact that the entire Pre-Umbral Era won't be playable again, means the current in-game storyline is being removed for 2.0. I have no clue why they would do something like that. I mean, it's interesting, but I have no clue how exactly that's going to work. Its basically saying that its going to be an entirely new game - which if that is the case, they may as well name it something else cause 2.0 isn't going to sway alot of the negative feelings people have about FFXIV. They need a new moniker for sure. I really think its going to be based on how many subs they can manage. I know alot of people have come back with this last patch, but nowhere near the numbers of launch. The timeline looks pretty ambitious to be sure. So far it's a tough sell for folks already due to their previous experiences. I'd be curious to see what their expected turnover rate is, because I can honestly say that most people who have continued to play from launch will probably sub over. The folks who didn't stick with it, even when it was free to play, won't be subbing anytime soon if at all. I'm not really sure everyone who came back for this patch will stick around unless content continues to come fast. I really hope they have a realistic expectation of subscription adoption, cause if its not, all the pretty spreadsheets aren't worth a hill 'o beans. The plus side is if it really is Luminous Engine they're porting over to, it means the transfer of assets will be extremely scalable for PS3. The question is how much of these assets are new builds. Its easy to build from pre-existing content, but if they're planning all this original art, models, etc. even a 2 year span (Jan '11-Jan'13) is really pushing it on top of revamped mechanics, maps, etc. But who knows, I've heard their new engine is pretty boss and head and shoulders above Crystal Tools. If its a solid toolkit, turning out new assets and generating new ones may not be so time consuming. My biggest concern is them completely revamping their server structure. Don't get me wrong, its needed badly, but that kind of networking is stuff we see in Western MMOs and SE hasn't exactly showed expertise in that field. You can have the best art design, UI and gameplay in the world, but if people have connectivity issues, you're fucked. As it stands, we're still fighting latency. Another concern/dissappoinment is the return to zone based maps. I find it really hard to believe they still can't accomplish a seamless world with high fidelity in this age. I'm sure they have their reasoning (which may be a limitation of the console) but its still disheartening. Plus, this whole thing is more than a year away. The industry expectation can change dramatically in that time. Granted, we don't really have much in the way of innovation in the new games on the horizon, but as WoW turned the genre on its ear, maybe there's something waiting in the wings that will upset the balance. 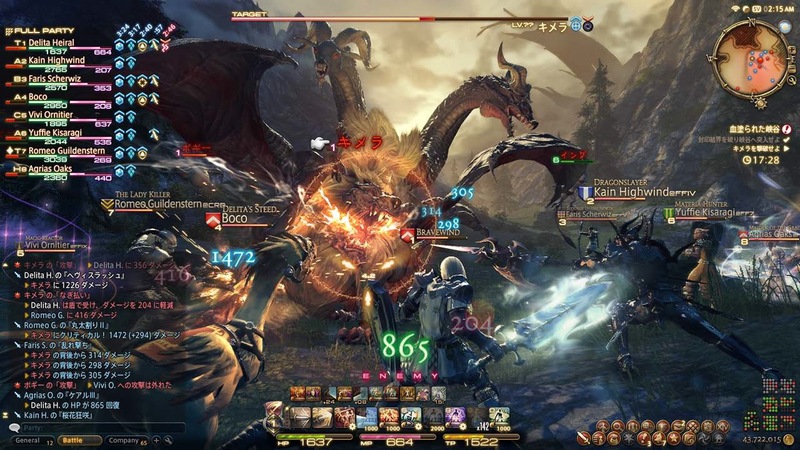 As it stands, FFXIV 2.0 looks like a realization of what the game should have been at launch. Even if it manages that goal, by modern standards it's already dated by two years. It will be interesting to follow this as it develops. Ambitious roadmap. The concept art looks pretty interesting. It definitely looks like a different game from the concept art. Curious to see how it turns out. It certainly looks like something I would give a shot. We'll see how it really turns out I guess. Another concern/dissappoinment is the return to zone based maps. I find it really hard to believe they still can't accomplish a seamless world with high fidelity in this age. I'm sure they have their reasoning (which may be a limitation of the console) but its still disheartening. Plus, this whole thing is more than a year away. My understanding is that XI did it for the same reason (To achieve better graphics for individual areas). While I don't mind seeing a loading screen every now and again, I hope they don't make the zoning as drastic as in XI, where it feels like some zones don't even logically connect to one another. You'd zone into Pashhow Marshlands, turn around and look back, but see none of the mountains that surrounded the Konschtat Highlands. Please don't be fooled by Squeenix. They have fed their fans this type of manure for years. I think everyone, or near everyone, is some flavor of cautious optimism in here. I'm pretty much done with MMOs and FFXIV definitely left a hell of a bad taste in my mouth. I literally can't go back but I'm interested to see how 2.0 performs. The screens sure are pretty. That screenshot really does do the job of ensuring I'll keep an eye on the game; which is a vast improvement of the "Totally ignoring" status it previously had...but honestly I don't see how this will come to fruition. New playerbases in the know are pretty much not going to buy a copy until the changes are made and somehow I doubt the current number of players is enough to shoulder the insane cost of a current gen MMO; let alone one that's being remade entirely this soon after the initial launch date. SE isn't exactly known for making quality games (not talking about graphics here; the rest of the package) these days and if they continue to reinforce this by making FFXIII-2, Type-0, or whatever goes through the tubes lately into bad games then they're really going to be hurting for funds. Heck if two of their big titles flop I could see this getting dumped in a heart beat to keep the company from buckling under. Even more so since if your company name isn't "Blizzard" than the MMORPG genre isn't really going to be a very profitable enterprise for you. I think at best all SE can do is hope to break even somehow. There's no way I'm falling in their trap. This image is clearly altered to look amazing and that is SE specialty, making their products look much more amazing than they are, and this from a person that had not much problems with their recent stuff. I personally found FFXI to be as bad as it could get. Everything was hard to do, hard to figure out and took too long when you found out. FFXIV by the looks of it seemed way worse and if by "fixing it" is making it like XI I know I couldn't play a week of it. I have my eyes on Guild Wars 2 since it can be played single or multiplayer, looks great, looks much more different than the WoW wannabe. Oh, and the best part, you buy the game and that's it. No subscription. It's a concept mockup and is clearly labelled as such in the source documents. Though outside of the GUI all of those graphics assets are within the scope of the current engine. If it is Luminous Engine, it could look even better, since it can render photorealistic images. Many people would disagree with you there. FFXI for many people was an amazing experience that has only gotten better with time. It's not without it's faults however. I'm sorry yet wasn't your cup of tea. FFXIV's problem is that it tried too hard to be different than XI without actually learning any lessons. Now the game has a community that wants it to be an evolution of XI with more modern concepts like WoW introduced to the genre, and I think most people are ok with that. Of course we now have an outline for evolution but it doesn't mean it's going to ge there. But as they say, a picture is worth a thousand words, and that mockup speaks volumes. While GW2 looks great, the game carries all the same hallmarks of modern MMOs which were all influenced by WoW in one way or another. Even WoW took most of its design concepts from other games, it just put them all together in a form that was so polished for the genre that it became the gold standard. Pretty much every MMO out in the last 6 years or so have been solo friendly (another result of the WoW effect), so it's not a bonus, it's an expected feature. Even FFXI is now solo friendly, and XIV has been kinder to the solo player than the group player since launch. Aside from the Guild Wars phenomenon, there are more P2P games going to F2P because they can't sustain a large enough userbase to warrant subscriptions, being F2P is not a boon. Up until this year, most F2P games were garbage. The vast majority still are cheap Korean grindfests with overpriced cash shops. Honestly, some of your comments make me think you really don't have much MMO experience.